Kristian Rouz — International gold prices continues their rise this week amid weaker-than-expected macroeconomic data from the US, which has weighed on the dollar's FX rate. Additionally, higher oil prices have boosted commodity currencies, adding to the pressure on the greenback, and resulting in a higher value of global gold reserves. Spot gold rose 0.2 percent in Tuesday's trading in London, to $1,299.34/oz., while US gold futures with the delivery in June added 0.1 percent to $1,303.61/oz. The prices were also supported by the news from Mainland China, which increased its gold reserves — bought in the international market — by 0.6 percent in late March, to 60.62 mln ounces, according to a report from the People's Bank of China (PBOC). 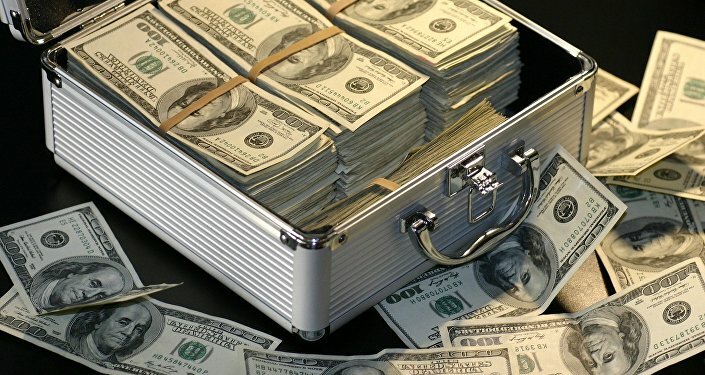 "The US dollar is subdued and data shows that there is continued buying from central banks," Daniel Hynes from Melbourne-based Australia and New Zealand Banking Group (ANZ) said. According to the data from Bloomberg, gold prices have risen 1.6 percent year-to-date, although they remain some 3.4 percent below their February highs. The demand for safe haven assets — and gold is one of them — remains strong amid the concerns of a possible recession in the Eurozone, particularly, in Germany, as well as the ongoing economic slowdown in China, and a cooling expansion in the US. Meanwhile, in the US, GDP expansion is facing downward pressure due to heightened geo-strategic risks. US President Donald Trump continues to pressure China and Mexico, among other countries, to make the flows of capital and workforce more fair and transparent, and his promises of tough retribution if that doesn'r happen keeps stirring modest concern among investors. In the light of months-long trade talks between the US and China, as well as migrant tensions at the US-Mexico border, manufacturing activity and investment in the US have shown signs of slowing down. "Gold's gains in the last 24 hours were a follow-up on the jobs report from the US on Friday," Ilya Spivak of foreign exchange company DailyFX said. "Decline in wage inflation takes the pressure off the Fed and lets it remain dovish and delay rate hikes and maybe switch gears, and that's supportive for gold." Indeed, the unclear path forward of US monetary policies renders investors sceptical of economic growth keeping its momentum at 3 percent per year over the coming few quarters. US interest rates remain accommodative and low, meaning the almost zero-yielding gold keeps its appeal among investors. Higher US interest rates would spur the yields on Treasury bonds, and make non-financial investment more profitable, likely weighing on gold — but so far, none of that appears to be likely anytime soon. "There is an expectation for a dovish-biased statement based on what came out in March. The larger issue is how concerned are our policy makers over the state of global economy," Spivak added. 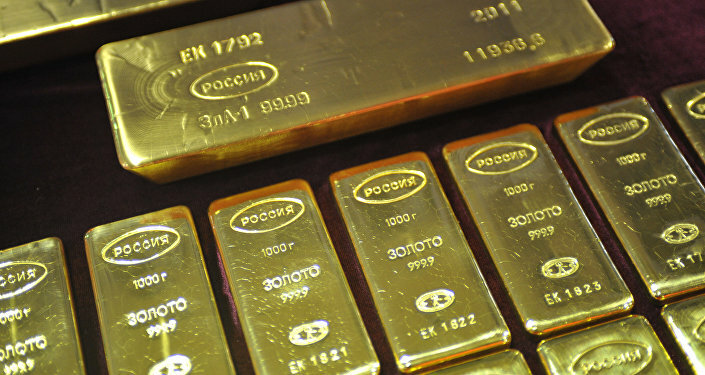 In this light, the majority of analysts expect gold to continue its gains over the coming months, which is good news for countries with substantial levels of gold mining — such as Russia, South Africa, Australia, and Canada.